“A tight professional engagement” – those are the blunt terms the India Commerce and Trade Minister Nirmala Sitharaman used to describe the UK’s bond with India after Prime Minister Theresa May took a trade delegation to India on her first official overseas visit last November. That is not to say that India is uninterested in the UK. It invests more in the UK than in any other EU nation. There are over 800 Indian firms in the UK supporting over 210,000 jobs; clearly centuries of common history count for a great deal, though they have seen many twists and turns. The two nations are simply out of step. Prime Minister Narendra Modi is not made from the same mould as previous Indian leaders. The economic reforms his Government has designed in India have created the world’s fastest-growing major economy, and the Goods and Services Tax, implemented at the start of July, has created the largest common market in the free world. He is also the first post-postcolonial leader of India, and his leadership is built on the principle of reforming the decades of bureaucratic rule that followed Indian independence. Moreover, he is the first India leader to be born after India achieved its independence from the British Empire. What does this mean for the UK’s relationship with India? There is now a huge shift in the balance of power towards India. India is now a powerful innovative force and liberal economy, with the initiative to set the terms of its bilateral partnerships with its major allies. 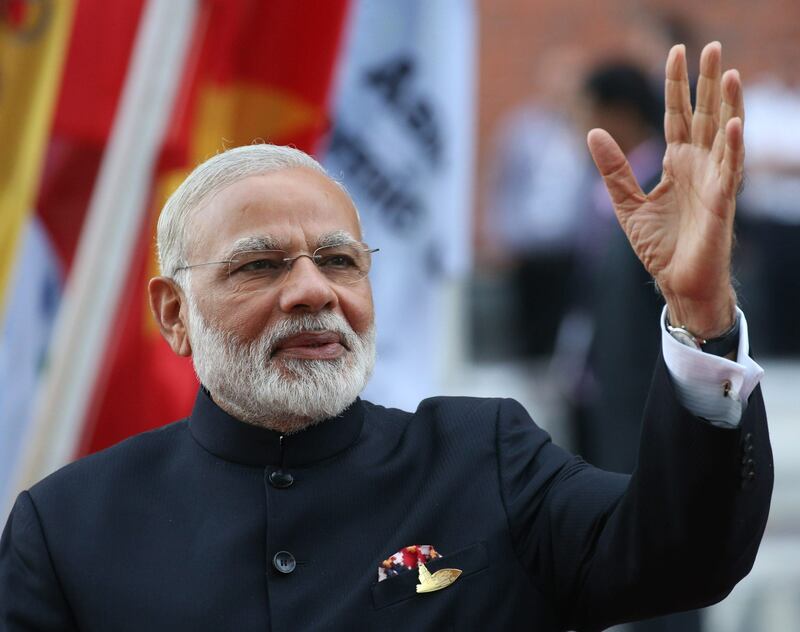 Like him or not, Indian Prime Minister Narendra Modi is making the case for India as a global power that offers development for all and discrimination for none. The UK – and especially its vocal and successful Indian diaspora – should join India in making the case. The post World War II consensus, having brought about relative peace for an unprecedented half-century in the Western hemisphere, is no longer setting the pace for economic growth; in some cases, Western liberalism cannot prevent divisions between nations. While Brexit presents huge challenges – not least where our connection with India is concerned (especially as the UK is seen by the business sector and Indian policy-makers as the economic and diplomatic gateway to Europe) – it has given the UK a much-needed jolt out of complacency. Britain’s influence across the world is not infinite. Brexit should be the UK’s chance to develop a partnership with India that thrives on action: engagement among diaspora communities, environmental action, creative technological innovation and new ways to think about our defence and security positions. We need to move away from simply chasing lucrative trade deals with the same acquisitive manner that characterised Britain’s colonial past, or even its post-World War II boom years. India is already transforming the global economy, implementing new green and renewable technologies, transforming the lives of millions who rely on new infrastructure, creating cleaner rivers and better-connected cities. It is unlocking opportunities – scholarship, jobs in fast-growing industries – for its youngest generations. India wants its partnerships to extend this transforming influence. For Britain, this means sharing an open border so that young professionals and students have the chance to move freely between the two countries. Without taking measures to reduce the costs of visas, facilitate business tourism, or provide opportunities for Indian students in the UK to work here after they graduate, we are giving the impression that we want India’s business but not its talent. It also means helping India to become the reforming force that the Commonwealth needs to awaken it from bureaucratic slumber and transform it into a trade bloc to rival the EU, ASEAN or the proposed RCEP. And it means taking steps to harness the power of the UK’s leading financial markets to boost Indian economic growth and technological development, particularly where it concerns renewable energy technologies – an area where game-changing Indian expertise are starting to emerge. What is also clear from the result of the EU referendum is that we need to reshape divided UK society at home and understand the standards by which multicultural, multiracial society succeed and fail. Members of the Indian diaspora in the UK should not be afraid to stand up for the success they have had in integrating into British society, for this could help us to shape our society in a new direction after Brexit. Indeed, Narendra Modi himself has encouraged British Indians to do this. With the US facing its own challenges, India could be one of the first nations to help the UK to come to terms with its new, ‘open to the world’ status.